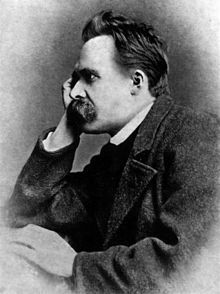 Friedrich Wilhelm Nietzsche (/ˈniːtʃə, ˈniːtʃi/, German: [ˈfʁiːdʁɪç ˈvɪlhɛlm ˈniːtʃə] ( listen) or [- ˈniːtsʃə]; 15 October 1844 – 25 August 1900) was a German philosopher, cultural critic, composer, poet, philologist, and Latin and Greek scholar whose work has exerted a profound influence on Western philosophy and modern intellectual history. He began his career as a classical philologist before turning to philosophy. 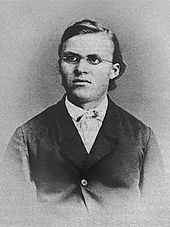 He became the youngest ever to hold the Chair of Classical Philology at the University of Basel in 1869 at the age of 24. Nietzsche resigned in 1879 due to health problems that plagued him most of his life; he completed much of his core writing in the following decade. In 1889 at age 44, he suffered a collapse and afterward, a complete loss of his mental faculties. He lived his remaining years in the care of his mother until her death in 1897 and then with his sister Elisabeth Förster-Nietzsche. Nietzsche died in 1900. 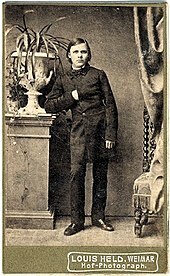 Born on 15 October 1844, Nietzsche grew up in the small town of Röcken (now part of Lützen), near Leipzig, in the Prussian Province of Saxony. He was named after King Friedrich Wilhelm IV of Prussia, who turned 49 on the day of Nietzsche's birth (Nietzsche later dropped his middle name Wilhelm). Nietzsche's parents, Carl Ludwig Nietzsche (1813–1849), a Lutheran pastor and former teacher; and Franziska Nietzsche [de] (née Oehler) (1826–1897), married in 1843, the year before their son's birth. They had two other children: a daughter, Elisabeth Förster-Nietzsche, born in 1846; and a second son, Ludwig Joseph, born in 1848. Nietzsche's father died from a brain ailment in 1849; Ludwig Joseph died six months later at age two. The family then moved to Naumburg, where they lived with Nietzsche's maternal grandmother and his father's two unmarried sisters. 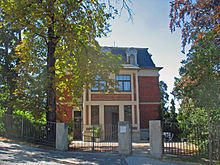 After the death of Nietzsche's grandmother in 1856, the family moved into their own house, now Nietzsche-Haus, a museum and Nietzsche study centre. In 1866, he read Friedrich Albert Lange's History of Materialism. Lange's descriptions of Kant's anti-materialistic philosophy, the rise of European Materialism, Europe's increased concern with science, Charles Darwin's theory of evolution, and the general rebellion against tradition and authority intrigued Nietzsche greatly. Nietzsche would ultimately argue the impossibility of an evolutionary explanation of the human aesthetic sense. In 1873, Nietzsche began to accumulate notes that would be posthumously published as Philosophy in the Tragic Age of the Greeks. Between 1873 and 1876, he published four separate long essays: "David Strauss: the Confessor and the Writer", "On the Use and Abuse of History for Life", "Schopenhauer as Educator" and "Richard Wagner in Bayreuth". These four later appeared in a collected edition under the title Untimely Meditations. The essays shared the orientation of a cultural critique, challenging the developing German culture along lines suggested by Schopenhauer and Wagner. During this time in the circle of the Wagners, he met Malwida von Meysenbug and Hans von Bülow. He also began a friendship with Paul Rée, who in 1876 influenced him into dismissing the pessimism in his early writings. However, he was deeply disappointed by the Bayreuth Festival of 1876, where the banality of the shows and baseness of the public repelled him. He was also alienated by Wagner's championing of "German culture", which Nietzsche felt a contradiction in terms as well as by Wagner's celebration of his fame among the German public. All this contributed to his subsequent decision to distance himself from Wagner. Salomé's mother took her to Rome when Salomé was 21. At a literary salon in the city, Salomé became acquainted with Paul Rée. Rée proposed marriage to her, but she instead proposed that they should live and study together as 'brother and sister', along with another man for company, where they would establish an academic commune. Rée accepted the idea, and suggested that they be joined by his friend Nietzsche. The two met Nietzsche in Rome in April 1882, and Nietzsche is believed to have instantly fallen in love with Salome, as Rée had done. Nietzsche asked Rée to propose marriage to Salome, which she rejected. She had been interested in Nietzsche as a friend, but not as a husband. Nietzsche nonetheless was content to join together with Rée and Salome touring through Switzerland and Italy together, planning their commune. The three traveled with Salomé's mother through Italy and considered where they would set up their "Winterplan" commune. This commune was intended to be set up in an abandoned monastery, but no suitable location was found. On 13 May, in Lucerne, when Nietzsche was alone with Salome, he earnestly proposed marriage to her again, which she rejected. He nonetheless was happy to continue with the plans for an academic commune. After discovering the situation, Nietzsche's sister Elizabeth became determined to get Nietzsche away from the "immoral woman". 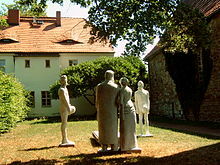 Nietzsche and Salomé spent the summer together in Tautenburg in Thuringia, often with Nietzsche's sister Elisabeth as a chaperone. Salomé reports that he asked her to marry him on three separate occasions and that she refused, though the reliability of her reports of events has come into question. Arriving in Leipzig, (Germany) in October, Salomé and Rée separated from Nietzsche after a falling-out between Nietzsche and Salomé, in which Salomé believed that Nietzsche was desperately in love with her. In 1886, his sister Elisabeth married the antisemite Bernhard Förster and travelled to Paraguay to found Nueva Germania, a "Germanic" colony—a plan Nietzsche responded to with mocking laughter. [not in citation given] Through correspondence, Nietzsche's relationship with Elisabeth continued through cycles of conflict and reconciliation, but they met again only after his collapse. He continued to have frequent and painful attacks of illness, which made prolonged work impossible. 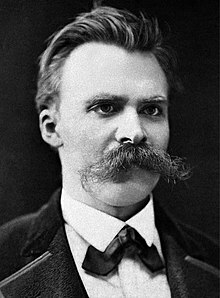 Nietzsche's mental illness was originally diagnosed as tertiary syphilis, in accordance with a prevailing medical paradigm of the time. Although most commentators regard his breakdown as unrelated to his philosophy, Georges Bataille dropped dark hints ("'Man incarnate' must also go mad") Bataille, Georges; Michelson, Annette (Spring 1986). "Nietzsche's Madness". October. 36: 42–45. JSTOR 778548. </ref> and René Girard's postmortem psychoanalysis posits a worshipful rivalry with Richard Wagner. Nietzsche had previously written, "All superior men who were irresistibly drawn to throw off the yoke of any kind of morality and to frame new laws had, if they were not actually mad, no alternative but to make themselves or pretend to be mad." (Daybreak, 14) The diagnosis of syphilis has since been challenged and a diagnosis of "manic-depressive illness with periodic psychosis followed by vascular dementia" was put forward by Cybulska prior to Schain's study. Leonard Sax suggested the slow growth of a right-sided retro-orbital meningioma as an explanation of Nietzsche's dementia; Orth and Trimble postulated frontotemporal dementia while other researchers have proposed a hereditary stroke disorder called CADASIL. Poisoning by mercury, a treatment for syphilis at the time of Nietzsche's death, has also been suggested. Nietzsche scholar Joachim Köhler [de] has attempted to explain Nietzsche's life history and philosophy by claiming that Nietzsche was homosexual. Köhler argues that Nietzsche's syphilis, which is "...usually considered to be the product of his encounter with a prostitute in a brothel in Cologne or Leipzig, is equally likely, it is now held, to have been contracted in a male brothel in Genoa." The acquisition of the infection from a homosexual brothel was confirmed by Sigmund Freud, who cited Otto Binswanger as his source. Köhler also suggests Nietzsche may have had a romantic relationship as well as a friendship with Paul Rée. 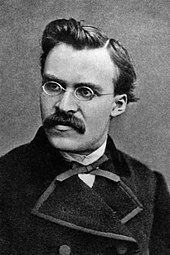 There is the claim that Nietzsche's homosexuality is widely known in the Vienna Psychoanalytic Society, with Nietzsche's friend Paul Deussen claiming that the philosopher never "touched a woman". An example of the impact of this idea can be seen in the book Patterns of Culture, where anthropologist Ruth Benedict uses Nietzschean opposites of "Apollonian" and "Dionysian" as the stimulus for her thoughts about Native American cultures. Carl Jung has written extensively on the dichotomy in Psychological Types. Michel Foucault has commented that his own book Madness and Civilization should be read "under the sun of the great Nietzschean inquiry". Here Foucault references Nietzsche's description of the birth and death of tragedy and his explanation that the subsequent tragedy of the Western world was the refusal of the tragic and, with that, refusal of the sacred. Painter Mark Rothko was influenced by Nietzsche's view of tragedy, which were presented in The Birth of Tragedy. Nietzsche claimed the death of God would eventually lead to the loss of any universal perspective on things, and along with it any coherent sense of objective truth. [page needed] Nietzsche himself rejected the idea of objective reality, arguing that knowledge is contingent and conditional, relative to various fluid perspectives or interests. This leads to constant reassessment of rules (i.e., those of philosophy, the scientific method, etc.) according to the circumstances of individual perspectives. This view has acquired the name perspectivism. Related to his theory of the will to power is his speculation, which he did not deem final, regarding the reality of the physical world, including inorganic matter—that, like man's affections and impulses, the material world is also set by the dynamics of a form of the will to power. At the core of his theory is a rejection of atomism—the idea that matter is composed of stable, indivisible units (atoms). Instead, he seems to have accepted the conclusions of Ruđer Bošković, who explained the qualities of matter as a result of an interplay of forces. One study of Nietzsche defines his fully developed concept of the will to power as "the element from which derive both the quantitative difference of related forces and the quality that devolves into each force in this relation" revealing the will to power as "the principle of the synthesis of forces." Of such forces Nietzsche said they could perhaps be viewed as a primitive form of the will. Likewise he rejected as a mere interpretation the view that the movement of bodies is ruled by inexorable laws of nature, positing instead that movement was governed by the power relations between bodies and forces. Other scholars disagree that Nietzsche considered the material world to be a form of the will to power: Nietzsche thoroughly criticized metaphysics, and by including the will to power in the material world, he would simply be setting up a new metaphysics. Other than aphorism 36 in Beyond Good and Evil, where he raised a question regarding will to power as being in the material world, it was only in his notes (unpublished by himself), where he wrote about a metaphysical will to power. Nietzsche directed his landlord to burn those notes in 1888 when he left Sils Maria for the last time. The Nazis tried to incorporate the concept into their ideology. After his death, Elisabeth Förster-Nietzsche became the curator and editor of her brother's manuscripts. She reworked Nietzsche's unpublished writings to fit her own German nationalist ideology while often contradicting or obfuscating Nietzsche's stated opinions, which were explicitly opposed to antisemitism and nationalism. Through her published editions, Nietzsche's work became associated with fascism and Nazism; 20th century scholars contested this interpretation of his work and corrected editions of his writings were soon made available. Although Nietzsche has famously been misrepresented as a predecessor to Nazism, he criticized anti-Semitism, pan-Germanism and, to a lesser extent, nationalism. Thus, he broke with his editor in 1886 because of his opposition to his editor's anti-Semitic stances, and his rupture with Richard Wagner, expressed in The Case of Wagner and Nietzsche contra Wagner, both of which he wrote in 1888, had much to do with Wagner's endorsement of pan-Germanism and anti-Semitism—and also of his rallying to Christianity. In a March 29, 1887 letter to Theodor Fritsch, Nietzsche mocked anti-Semites, Fritsch, Eugen Dühring, Wagner, Ebrard, Wahrmund, and the leading advocate of pan-Germanism, Paul de Lagarde, who would become, along with Wagner and Houston Chamberlain, the main official influences of Nazism. This 1887 letter to Fritsch ended by: "And finally, how do you think I feel when the name Zarathustra is mouthed by anti-Semites?" Nietzsche's works did not reach a wide readership during his active writing career. 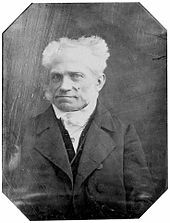 However, in 1888 the influential Danish critic Georg Brandes aroused considerable excitement about Nietzsche through a series of lectures he gave at the University of Copenhagen. In the years after Nietzsche's death in 1900, his works became better known, and readers have responded to them in complex and sometimes controversial ways. Many Germans eventually discovered his appeals for greater individualism and personality development in Thus Spoke Zarathustra, but responded to them divergently. He had some following among left-wing Germans in the 1890s; in 1894–1895 German conservatives wanted to ban his work as subversive. During the late 19th century Nietzsche's ideas were commonly associated with anarchist movements and appear to have had influence within them, particularly in France and the United States. H.L. Mencken produced the first book on Nietzsche in English in 1907, The Philosophy of Friedrich Nietzsche, and in 1910 a book of translated paragraphs from Nietzsche, increasing knowledge of his philosophy in the United States. Nietzsche is known today as a precursor to expressionism, existentialism, and postmodernism. W.B. Yeats and Arthur Symons described Nietzsche as the intellectual heir to William Blake. Symons went on to compare the ideas of the two thinkers in The Symbolist Movement in Literature, while Yeats tried to raise awareness of Nietzsche in Ireland. A similar notion was espoused by W.H. Auden who wrote of Nietzsche in his New Year Letter (released in 1941 in The Double Man): "O masterly debunker of our liberal fallacies [...] all your life you stormed, like your English forerunner Blake". Nietzsche made an impact on composers during the 1890s. Writer on music Donald Mitchell notes that Gustav Mahler was "attracted to the poetic fire of Zarathustra, but repelled by the intellectual core of its writings." He also quotes Mahler himself, and adds that he was influenced by Nietzsche's conception and affirmative approach to nature, which Mahler presented in his Third Symphony using Zarathustra's roundelay. Frederick Delius produced a piece of choral music, A Mass of Life, based on a text of Thus Spoke Zarathustra, while Richard Strauss (who also based his Also sprach Zarathustra on the same book), was only interested in finishing "another chapter of symphonic autobiography". Famous writers and poets influenced by Nietzsche include André Gide, August Strindberg, Robinson Jeffers, Pío Baroja, D.H. Lawrence, Edith Södergran and Yukio Mishima. By World War I, Nietzsche had acquired a reputation as an inspiration for both right-wing German militarism and leftist politics. German soldiers received copies of Thus Spoke Zarathustra as gifts during World War I. The Dreyfus affair provides a contrasting example of his reception: the French antisemitic Right labelled the Jewish and leftist intellectuals who defended Alfred Dreyfus as "Nietzscheans". 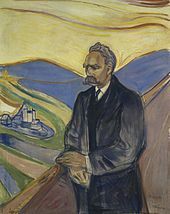 Nietzsche had a distinct appeal for many Zionist thinkers around the start of the 20th century, most notable being Ahad Ha'am, Hillel Zeitlin, Micha Josef Berdyczewski, A.D. Gordon and Martin Buber, who went so far as to extoll Nietzsche as a "creator" and "emissary of life". Chaim Weizmann was a great admirer of Nietzsche; the first president of Israel sent Nietzsche's books to his wife, adding a comment in a letter that "This was the best and finest thing I can send to you." Israel Eldad, the ideological chief of the Stern Gang that fought the British in Palestine in the 1940s, wrote about Nietzsche in his underground newspaper and later translated most of Nietzsche's books into Hebrew. Eugene O'Neill remarked that Zarathustra influenced him more than any other book he ever read. He also shared Nietzsche's view of tragedy. Plays The Great God Brown and Lazarus Laughed are an example of Nietzsche's influence on O'Neill. Nietzsche's influence on the works of Frankfurt School philosophers Max Horkheimer and Theodor W. Adorno can be seen in the popular Dialectic of Enlightenment. Adorno summed up Nietzsche's philosophy as expressing the "humane in a world in which humanity has become a sham." ^ Guyer, Paul; Horstmann, Rolf-Peter (2015). Zalta, Edward N. (ed.). The Stanford Encyclopedia of Philosophy – via Stanford Encyclopedia of Philosophy. ^ a b c d Dale Wilkerson. "Friedrich Nietzsche". Internet Encyclopedia of Philosophy. ISSN 2161-0002. Retrieved 9 April 2018. ^ "Der Philosoph Philipp Mainländer entdeckt das Nirwanaprinzip: Die Welt als Gottes Selbstmordprojekt". Neue Zürcher Zeitung. 15 March 2003. Immerhin hat kein Geringerer als Friedrich Nietzsche, solange er wie Mainländer Schopenhauer verehrte, den philosophischen Mitjünger gewürdigt (beider Lektüreerlebnis gleicht als Erweckung dem augustinischen "Nimm, lies" bis ins Detail). ^ Magnus, Bernd (26 July 1999). "Friedrich Nietzsche". Encyclopædia Britannica. ^ a b c "Friedrich Nietzsche," by Dale Wilkerson, The Internet Encyclopedia of Philosophy, ISSN 2161-0002, http://www.iep.utm.edu/nietzch/[permanent dead link]. 14 October 2015. ^ a b c Wicks, R. (Summer 2011) "Friedrich Nietzsche". The Stanford Encyclopedia of Philosophy, Edward N. Zalta (ed.). Retrieved 6 October 2011. ^ Anderson, R. Lanier (17 March 2017). "Friedrich Nietzsche". Stanford Encyclopedia of Philosophy. Metaphysics Research Lab, Stanford University. ^ a b c Magnus 1999. ^ a b Robert Matthews (4 May 2003), "'Madness' of Nietzsche was cancer not syphilis", The Daily Telegraph. ^ See his own words: F. Nietzsche (1888), Twilight of the Idols. "Four Great Errors", 1, tr. W. Kaufmann & R.J. Hollingdale (online version). A strict example of a cause-and-effect mismatch, with regard to the God-creator as the cause and our concepts as the effects, is perhaps not fully stressed in this fragment, but the more explicit it is stressed in the same book, chapter ""Reason" in philosophy", 4, as well as in The Antichrist (57, where real and imaginary origins are contrasted, and 62, where he calls Christianity 'a fatality'—'fatal' also meaning 'unavoidable') and in The Genealogy of Morals, books 1–3, among others. The topic of "false origins" of ideas is also suggested in The Four Great Errors, 3, and (precisely about morality) in e.g. The Will to Power, tr. W. Kaufmann, 343 (online text here). ^ a b Golomb, Jacob and Robert S. Wistrich (eds. ), 2002, Nietzsche, Godfather of Fascism? : On the Uses and Abuses of a Philosophy. Princeton, N.J.: Princeton University Press. ^ "100 years after death, Nietzsche's popularity keeps growing: 6/01". news.stanford.edu. ^ a b Wicks, Robert (2014). Zalta, Edward N. (ed.). Friedrich Nietzsche (Winter 2014 ed.). ^ Hollingdale 1999, p. 21. ^ His "valedictorian paper" (Valediktionsarbeit, graduation thesis for Pforta students) was titled "On Theognis of Megara" ("De Theognide Megarensi"); see Anthony K. Jensen, Helmut Heit (eds. ), Nietzsche as a Scholar of Antiquity, A&C Black, 2014, p. 4. ^ Nietzsche, Letter to His Sister (1865). Archived from the original on 24 November 2012. ^ Pence, Charles H. (2011). "Nietzsche's aesthetic critique of Darwin". History and Philosophy of the Life Sciences. 33 (2): 165–90. PMID 22288334. ^ Nietzsche, Friedrich. Letter to Karl Von Gersdorff, June 1868. ^ Sax, L. (2003). "What was the cause of Nietzsche's dementia?". Journal of Medical Biography. 11 (1): 47–54. doi:10.1177/096777200301100113. PMID 12522502. ^ Rupert Hughes, The Love Affairs of Great Musicians, Volume 2. ^ Güntzel, Stephan (15 October 2003), "Nietzsche's Geophilosophy", Journal of Nietzsche Studies (in English and German), University Park (Penn State), 25: 85, archived from the original on 27 September 2007 ; republished on HyperNietzsche. ^ a b c Hollingdale 1999, p. 149. ^ Hollingdale 1999, p. 151. ^ Killy, Walther; Vierhaus, Rudolf (30 November 2011). Plett - Schmidseder. Walter de Gruyter. ISBN 9783110966305. ^ a b Hollingdale 1999, p. 152. ^ Magnus, Bernd; Higgins, Kathleen Marie, eds. (1996). The Cambridge Companion to Nietzsche. Cambridge University Press. pp. 79–81. ISBN 978-0-521-36767-7. ^ Simon, Gerald (January 1889). "Nietzsches Briefe. Ausgewählte Korrespondenz. Wahnbriefe". The Nietzsche Channel. Retrieved 24 August 2013. Ich habe Kaiphas in Ketten legen lassen; auch bin ich voriges Jahr von den deutschen Ärzten auf eine sehr langwierige Weise gekreuzigt worden. Wilhelm, Bismarck und alle Antisemiten abgeschafft. ^ Zweig, Stefan (1939), Master Builders [trilogy], The Struggle with the Daimon, Viking Press, p. 524. ^ Nietzsches Briefe, Ausgewählte Korrespondenz, Wahnzettel 1889. ^ a b Cite error: The named reference Bataille was invoked but never defined (see the help page). ^ Hemelsoet D, Hemelsoet K, Devreese D (March 2008). "The neurological illness of Friedrich Nietzsche". Acta Neurologica Belgica. 108 (1): 9–16. PMID 18575181. Archived from the original on 6 July 2011. ^ Robert Wicks, Stanford Encyclopedia of Philosophy, first published Fri 30 May 1997; substantive revision Fri 29 April 2011, Friedrich Nietzsche. Retrieved 19 January 2014, "...some maintain that he suffered from CADASIL syndrome, a hereditary stroke disorder...."
^ Concurring reports in Elisabeth Förster-Nietzsche's biography (1904) and a letter by Mathilde Schenk-Nietzsche to Meta von Salis, 30 August 1900, quoted in Janz (1981) p. 221. Cf. Volz (1990), p. 251. ^ Magnus, Bernd; Higgins, Kathleen Marie (1996). The Cambridge Companion to Nietzsche. p. 1. ISBN 978-0-521-36767-7. ^ Mencken, Henry Louis (2008). The Philosophy of Friedrich Nietzsche. Wilder Publications. pp. 11–. ISBN 978-1-60459-331-0. ^ Warberg, Ulla-Karin. "Nietzsche's ring". 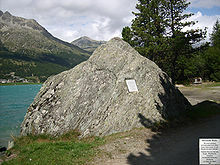 auktionsverket.com. Östermalm, Stockholm, SWEDEN: Stockholms Auktionsverk. Archived from the original on 24 June 2017. Retrieved 16 August 2018. Nietzsche's ring ... it was worn by Friedrich Nietzsche and it represents the ancient Radwan coat of arms, which can be traced back to the Polish nobility of medieval times. ^ Warberg, Ulla-Karin. "Nietzsche's ring". auktionsverket.com. Östermalm, Stockholm, SWEDEN: Stockholms Auktionsverk. Archived from the original on 24 June 2017. Retrieved 16 August 2018. In 1905, the Polish writer Bernhard Scharlitt in the spirit of Polish patriotism wrote an article about the Nietzsche family. In Herbarz Polski, a genealogy of Polish nobility, he had come across a note about a family named 'Nicki', who could be traced back to Radwan. A member of this family named Gotard Nietzsche had left Poland for Prussia, and his descendants had eventually settled in Saxony around the year 1700. ^ a b c d Hollingdale 1999, p. 6. ^ Leventhal, Robert S. (2001). "Nietzsche and Lou Andreas-Salomé: Chronicle of a Relationship 1882". rsleve.people.wm.edu. ^ Mathias Risse (13 January 2003). "Zarathustra's Secret. The Interior Life of Friedrich Nietzsche". Notre Dame Philosophical Reviews. ^ "ON MUSIC AND WORDS AND RHETORIC". nietzsche.holtof.com. ^ Desmond, Kathleen K (2011). Ideas About Art. ISBN 978-1-4443-9600-3. ^ "Nietzsche's Apollonianism and Dionysiansism: Meaning and Interpretation". www.bachelorandmaster.com. ^ Dionysus in Nietzsche and Greek Myth. Archived from the original on 14 August 2012. ^ "Hamlet and Nietzsche". Issuu. ^ Nietzsche on Hamlet (Commonplace Book). 2006. ^ a b "Art in Nietzsche's philosophy". jorbon.tripod.com. ^ "Dionysos versus Apollo". www.carnaval.com. ^ "SparkNotes: Friedrich Nietzsche (1844–1900): The Birth of Tragedy". www.sparknotes.com. ^ Influence of C.G. Jung on PKD – notes by Frank Bertrand, excerpt Umland. 2011. ^ Mahon, Michael (1992). Foucault's Nietzschean Genealogy. ISBN 978-0-7914-1149-0. ^ Lampert 1986, pp. 17–18. ^ Cox, Christoph (1999). Nietzsche: Naturalism and Interpretation. ISBN 978-0-520-92160-3. ^ Schacht, Richard (1983). Nietzsche. p. 61. ^ Nobre, Renarde Freire (2006). "Culture and perspectivism in Nietzsche's and Weber's view". Teoria & Sociedade. 2 (SE): 0. ^ Objective and subjective reality; perspectivism. 2011. ^ Solomon, Robert C (1989). From Hegel to Existentialism. ISBN 978-0-19-506182-6. ^ Murphy, Mark C (2003). Alasdair MacIntyre. ISBN 978-0-521-79381-0. ^ Lutz, Christopher Stephen (2009). Tradition in the ethics of Alasdair MacIntyre. ISBN 978-0-7391-4148-9. ^ Kaufmann, Walter Arnold (1980). From Shakespeare to existentialism. ISBN 978-0-691-01367-1. ^ a b c Sedgwick 2009, p. 68. ^ Morgan, George Allen (1941). What Nietzsche Means. Cambridge, MA: Harvard University Press. p. 36. ISBN 978-0-8371-7404-4. ^ Leddy, Thomas (14 June 2006). "Project MUSE – Nietzsche's Mirror: The World as Will to Power (review)". The Journal of Nietzsche Studies. 31 (1): 66–68. doi:10.1353/nie.2006.0006. Retrieved 22 August 2014. ^ Dudley, Will (2002). Hegel, Nietzsche, and Philosophy: Thinking Freedom. p. 201. ISBN 978-0-521-81250-4. ^ See Heidegger, Nietzsche. Volume II: The Eternal Recurrence of the Same trans. David Farrell Krell. New York: Harper and Row, 1984. 25. ^ "Nietzsche, "Master and Slave Morality"". philosophy.lander.edu. ^ "Thus Spoke Zarathustra Themes | GradeSaver". www.gradesaver.com. ^ Nietzsche and Heidegger. Archived from the original on 7 June 2012. ^ Kellner, Douglas (1999). "Nietzsche's Critique of Mass Culture". International Studies in Philosophy. 31 (3): 77–89. doi:10.5840/intstudphil199931353. ^ Joudrey, Thomas J. (2017). "The Defects of Perfectionism: Nietzsche, Eliot, and the Irrevocability of Wrong". Philological Quarterly (96.1): 77–104. ^ Roochnik 2004, pp. 37–39. ^ Thomas, Brobjer (2010). Nietzsche's Philosophical Context: An Intellectual Biography. ISBN 978-0-252-09062-2. ^ Weaver, Santaniello (1994). Nietzsche, God, and the Jews: His Critique of Judeo-Christianity in Relation to the Nazi Myth. ISBN 978-0-7914-2136-9. ^ Karl Löwith, From Hegel to Nietzsche, New York, 1964, p. 187. ^ G. Deleuze, Nietzsche and Philosophy (transl. Hugh Tomlinson), 2006, pp. 153–54. ^ Laska, Bernd A. "Nietzsche's initial crisis". Germanic Notes and Reviews. 33 (2): 109–33. ^ Liukkonen, Petri. "Friedrich Hölderlin". Books and Writers (kirjasto.sci.fi). Finland: Kuusankoski Public Library. Archived from the original on 26 December 2014. ^ Rebekah, Peery (2008). Nietzsche, Philosopher of the Perilous Perhaps. ISBN 978-0-87586-644-4. ^ Mencken, H.L. (1910). The Gist of Nietzsche. Boston, J.W. Luce & company. ^ "Expressionism Movement Overview". The Art Story. ^ Joyce and Nietzsche. Archived from the original on 12 June 2011. ^ Pasley, Malcolm (1978). Nietzsche:Imagery and thoughts. ISBN 978-0-520-03577-5. ^ Forrester, John (1997). Dispatches from the Freud Wars. ISBN 978-0-674-53960-0. ^ Argyle, Gisela (2002). Germany as model and monster: Allusions in English fiction. ISBN 978-0-7735-2351-7. ^ Auden, Wystan Hugh (1 June 1979). "The Double Man". Greenwood Press – via Google Books. ^ Donald, Mitchell (1980). Gustav Mahler: The Early Years. ISBN 978-0-520-04141-7. ^ James, Wood (26 November 1998). "Addicted to Unpredictability". London Review of Books. pp. 16–19. ^ Reesman, Jeanne Campbell (15 March 2011). Jack London's Racial Lives. ISBN 978-0-8203-3970-2. ^ London, Jack (2001). A Sun of the Son. ISBN 978-0-8061-3362-1. ^ Ray, Jackson (2007). Nietzsche and Islam. ISBN 978-1-134-20500-4. ^ Poets of Cambridge. Archived from the original on 29 April 2012. ^ "Wallace Stevens' Harmonium - Collaborative Essays and Articles - Geneseo Wiki". wiki.geneseo.edu. ^ Serio, John N (2007). The Cambridge Companion to Wallace Stevens. ISBN 978-1-139-82754-6. ^ Olaf Stapleton. Archived from the original on 17 July 2009. Retrieved 22 December 2018. ^ Brad, Damare. Music and Literature in Silver Age Russia: Mikhail Kuzmin and Alexander Scriabin. ISBN 978-0-549-81910-3. ^ Bernice, Rosenthal (2010). New Myth, New World: From Nietzsche to Stalinism. ISBN 978-0-271-04658-7. ^ Bernice, Rosenthal (1994). Nietzsche and Soviet Culture: Ally and Adversary. ISBN 978-0-521-45281-6. ^ Shookman, Ellis (2004). Thomas Mann's Death in Venice. ISBN 978-0-313-31159-8. ^ Nietzsche Circle. Archived from the original on 23 January 2013. ^ "Book: Ницше Фридрих Вильгельм. Так говорил Заратустра (с репродукциями картин Л. Хейдиз из цикла "Так говорил Заратустра" )". Academic Dictionaries and Encyclopedias. ^ Jacob, Golomb (2004). Nietzsche and Zion. Cornell University Press. ISBN 978-0-8014-3762-5. ^ Ohana, David (2012). The Origins of Israeli Mythology: Neither Canaanites nor Crusaders. ISBN 978-1-139-50520-8. ^ Walter, Kaufmann (2008). Nietzsche: Philosopher, Psychologist, Antichrist. ISBN 978-1-4008-2016-0. ^ Press, Cambridge University (1998). The Cambridge Companion to Eugene O'Neill. ISBN 978-0-521-55645-3. ^ "Postomodern considerations of Nietzschean perspectivism". ^ Diggins, John Patrick (2008). Eugene O'Neill's America: Desire Under Democracy. ISBN 978-0-226-14882-3. ^ Törnqvist, Egil (2004). Eugene O'Neill:A Playwright's theatre. ISBN 978-0-7864-1713-1. ^ Arthur, Herman (2010). The Idea of Decline in Western History. ISBN 978-1-4516-0313-2. ^ Weaver Santaniello, Nietzsche, God, and the Jews, SUNY Press, 1994, p. 41: "Hitler probably never read a word of Nietzsche." ^ J.L. Gaddis, P.H. Gordon, E.R. May, J. Rosenberg, Cold War Statesmen Confront the Bomb, Oxford University Press, 1999, p. 217: "The son of a history teacher, de Gaulle read voraciously as a boy and young man—Jacques Bainville, Henri Bergson, Friederich [sic] Nietzsche, Maurice Barres—and was steeped in conservative French historical and philosophical traditions." ^ Mumia, Abu-Jamal (2004). We Want Freedom: A Life in the Black Panther Party. ISBN 978-0-89608-718-7. ^ Rickman, Hans Peter (1996). Philosophy in Literature. ISBN 978-0-8386-3652-7. ^ Oswald Spengler. Archived from the original on 20 May 2013. ^ "The Canadian Encyclopedia". www.thecanadianencyclopedia.ca. ^ Tat, Alin; Popenici, Stefan (2008). Romanian Philosophical Culture, Globalization, and Education. ISBN 978-1-56518-242-4. ^ "Lester Hunt's Web Page". sites.google.com. ^ Cornwell, Neil (2006). The Absurd in Literature. ISBN 978-0-7190-7410-3. ^ "Jarrett, J.L., ed. : Jung's Seminar on Nietzsche's Zarathustra: (Abridged edition) (paperback)". Press.princeton.edu. Retrieved 22 August 2014. ^ "Jung's Reception of Friedrich Nietzsche: A Roadmap for the Uninitiated by Dr. Ritske Rensma". Depth Insights. Retrieved 22 August 2014. Deleuze, Gilles (2006) . Nietzsche and Philosophy. trans. Hugh Tomlinson. Athlone Press. ISBN 978-0-485-11233-7. Golomb, Jacob, ed. (1997). Nietzsche and Jewish culture. Routledge. ISBN 978-0-415-09512-9. Hollingdale, R.J. (1999). Nietzsche: The Man and His Philosophy. Cambridge University Press. p. 270. ISBN 978-0-521-64091-6. JSTOR 2024055. Gemes, Ken; May, Simon, eds. (2002). Nietzsche on Freedom and Autonomy. Oxford University Press. Hunt, Lester (2008). 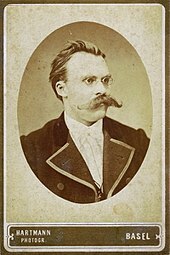 "Nietzsche, Friedrich (1844–1900)". In Hamowy, Ronald (ed.). The Encyclopedia of Libertarianism. The Encyclopedia of Libertarianism. Thousand Oaks, CA: Sage; Cato Institute. pp. 355–56. doi:10.4135/9781412965811.n217. ISBN 978-1-4129-6580-4. LCCN 2008009151. OCLC 750831024. Luchte, James (2008). Nietzsche's Thus Spoke Zarathustra: Before Sunrise. London: Bloomsbury Publishing. ISBN 978-1-4411-1653-6. Porter, James I (2000). The Invention of Dionysus: An Essay on The Birth of Tragedy. Stanford University Press. ISBN 978-0-8047-3700-5. Wicks, Robert. "Friedrich Nietzsche". In Edward N. Zalta (ed.). The Stanford Encyclopedia of Philosophy (Fall 2004 ed.). Wicks, Robert (14 November 2007). "Friedrich Nietzsche". In Zalta, Edward N. (ed.). Stanford Encyclopedia of Philosophy. Leiter, Brian (27 July 2007). "Nietzsche's Moral and Political Philosophy". In Zalta, Edward N. (ed.). Stanford Encyclopedia of Philosophy.